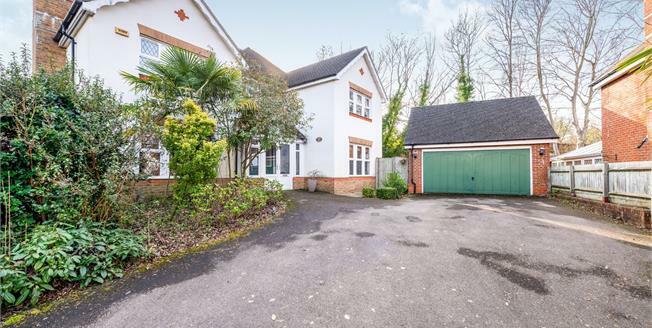 This substantial family home is within a highly regarded location a short distance of local schools and the main line station in Leatherhead. The light and roomy accommodation is set over two floors, with the ground floor providing an entrance vestibule, spacious reception hall, downstairs cloakroom, large kitchen/breakfast room, utility room, lounge with feature contemporary inglenook style fireplace, dining room and study/bedroom 5. The first floor provides four bedrooms and offers a principal suite, guest suite, and a family bathroom. Outside, the property sits in attractive mature corner plot gardens which are well screened. There is a detached double garage with further parking for two vehicles.